In an age of ever-marching globalisation and free trade within the EU, the Guaranteed Irish logo has perhaps faded a bit into the background in recent decades. In an attempt to get the brand out there again, next month has been designated Guaranteed Irish month. Bríd O'Connell, CEO of Guaranteed Irish, said there are around 300 members at the moment. She said there were three criteria that companies had to meet to gain membership. "Anyone can apply, but they must demonstrate that they create quality and sustainable jobs here, make a contribution to the community and fly the flag of provenance while showcasing Ireland at its best." The brand has a 44 year legacy, but the emphasis has changed in recent years and now encapsulates a much broader reach of companies. "The brand has re-emerged in the last year or so. We've companies like KPMG, MSD along with Ballymaloe and Clonakilty Pudding and Irish Cement. Multinational and indigenous companies all working to support jobs and community," she said. 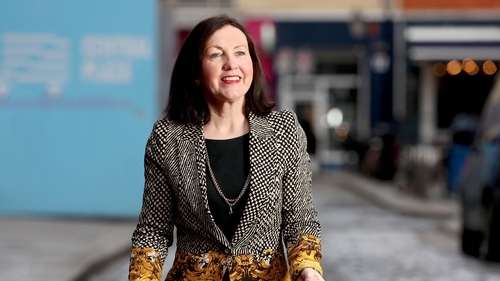 Bríd O'Connell said the re-emergence of the brand was timely given the outcome of the Brexit vote in the middle of 2016. "That mirrors the type of client that we see applying for membership. There's more drive and urgency and awareness of provenance. There's also an awareness that we need to monetise and leverage that sense of Irishness. "We need transfer that into jobs and improving quality of life and society. While there are gaps in the market, we need Guaranteed Irish to lobby government on those aspects," she said. Companies seeking membership can apply at guaranteedirish.ie. MORNING BRIEFS - European stock markets opened in positive territory this morning as a sense of calm appears to have returned to global markets. Asia followed Wall Street higher after US stocks reversed course and started gaining in late afternoon trade. The Dow closed with a gain of 2.3%, while the S&P500 was 1.75% higher. *** Packaging group Smurfit Kappa has reported earnings before tax and depreciation of €1.24 billion for its full financial year. That was roughly in line with the previous year's numbers. Revenue was 5% higher at €8.56 billion, but its pre-tax profits were down 12% to €576m. The company said its full year result was delivered against a backdrop of higher raw material costs and adverse currency moves. *** Higher oil prices appear to have given a boost to Tullow Oil in 2017. It reported an operating profit of $22m, a significant improvement on the $755m loss the previous year. After tax, the loss narrowed from almost $600m to $189m. *** The health arm of sales and support service group, DCC, has made its first foray into the US health and beauty sector with the acquisition of Elite One Source Nutritional Services for $50m. Elite manufactures and packages nutritional products in tablet and capsule form. DCC also said it expects its full year's earnings to be ahead of last year.